"To smugglers and free-traders, the Kira Run is a pathway to profit. But in the turbulent times following the fall of the Empire, it is much more: a hyperspace jump leading to danger, intrigue and bizarre menaces to the New Republic. Travel to the Twin Stars and encounter secret Imperial bases; lost ships carrying priceless cargo; pirates willing to make space a graveyard in pursuit of a fortune; and the threat of the Iskallons, who would enslave Humans for their own dark purposes. 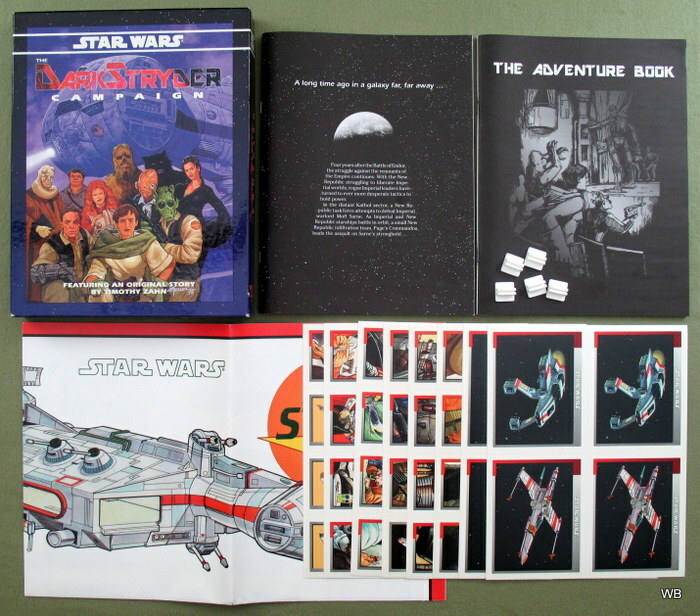 Scan your starmap, pack your blaster and launch into an exciting series of adventures set in the universe of Star Wars! 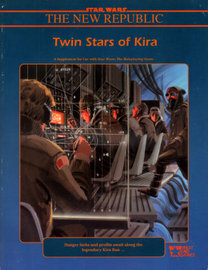 96-page book features: • Seven mini-adventures set in the systems along the Kira Run, featuring new NPCs and diagrams. • A detailed description of the Kira Run. • Close-up looks at the Twin Stars, Lazerian and Ropagi, with planet logs and adventure hooks. • Exciting read-alouds and player handouts to bring the adventure to life." "The inhabitants of the Demophon system face a threat far greater than that of the Empire: their sun is about go supernova, destroying all life on the worlds around it. A band of determined Rebels must act to save those the Empire deems unfit to live while solving the dark mysteries of Demophon. Encounter the bizarre Ssithers and the monstrous lagoin; struggle to survive the virus codenamed "Mynock"; battle your way into the heart of Imperial Security to rescue Rebel prisoners. This explosive new adventure collection features five exciting mini-adventures and an overview of the Demophon system. • Five mini-adventures set in and around the doomed Demophon system, featuring new NPCs and diagrams. • A detailed look at the planets of the Demophon system and its great domed cities. • The first look at a mysterious new alien race. • Dramatic read-alouds to bring the action to life." "Four thousand years ago, Goroth was a beautiful trade world. Caught between two warring factions that coveted its resources, Goroth was too difficult to occupy, yet too valuable to remain free. 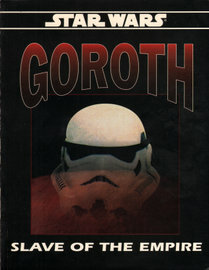 The solution was destruction: after "The Scouring," Goroth was forever changed into a wasteland. Now, the native Gorothites are beginning to rebuild their civilization, but the horrors of the past have come to haunt the present. Yet again the world is caught between two warring factions: the Empire and the Rebel Alliance. Yet again the world is too valuable to remain free: rich deposits of hyperbarides have brought the galaxy's megacorporations. Will Goroth suffer the same fate a second time?" 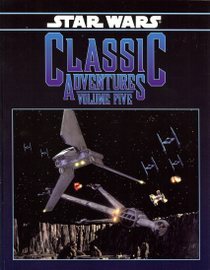 "An Adventure in Three Acts: Industrial Intrigue; The Fixer, the Spy, and the Chud; Death of a Star Destroyer"
Each Instant Adventure features a "Quick-start" outline that allows gamemasters to run the scenario quickly and easily, as well as scores of player handouts and maps designed to enhance game play. 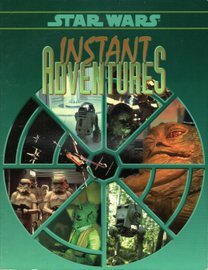 In addition, Instant Adventures contains 32 color Adventure Cards that illustrate many of the ships, vehicles, creatures, aliens and characters that appear in the scenarios. 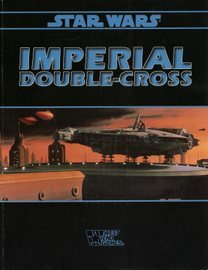 Whether you are battling pirates in the cold reaches of the Outer Rim Territories, or engaging Imperial forces on an occupied world, launching a Star Wars roleplaying campaign has never been easier!" Those who have been wronged want justice. And they are willing to pay handsomely to get it. That's where you come in. You're a bounty hunter, ready for battle and afraid of no one. You earn your living by tracking down those who desperately do not want to be found. Cunning and dangerous, you are not to be trifled with. But are you good enough to stop these wanted criminals? • Narloch of Giju. A Herglic gambler who has defrauded noble Lord Haahon of his lands, wealth, and honor. • Ort Hoogra-D'En. A Ho'Din terrorist wanted for several bombings using fatal biological agents. • Hahz Fallone. A wealthy business leader and suspected criminal operative responsible for the destruction of a primitive alien civilization, Imperial officials and private sponsors are paying top credits for these and other bounties." "The turbolift door opened, and Darrik stepped out into a dimly lit corridor. Instead of the polished, white synthetic stone of Cloud City's upper levels, this area was constructed of pipes, hissing air vents, and dingy deck grating, A blue light filtered in from a dirty window to the right — it overlooked a vast chasm, probably some sort of central core wind tunnel. To the left, the boy saw the other turbolift tubes. A passage lined with coolant pipes led beyond. He watched the Rodian bounty hunter’s shadowy form walking cautiously down that corridor. Darrik followed. The passageway opened into a small plaza with large doors on all sides except this one. Platt was near one of the doors, fiddling with a control pad. The Rodian sneaked over to a darkened comer and silently pulled his blaster pistol from its holster. Now you can decide. 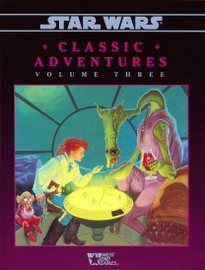 In this stand-alone roleplaying game book, you play Darrik, a young man with dreams greater than his hum-drum homeworid. Through a series of short stories and adventures, you'll run into stormtroopers, bounty hunters, and sinister Imperial agents. You make the decisions, but your success also depends on your skills and a bit of the Force. All you need to play is a pencil, some six-sided dice, and your imagination!" 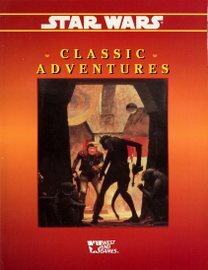 1st Edition adventures, combined and updated to 2nd Edition. Contains: "Abduction" & "Politics of Contraband." Contains: "Graveyard of Alderaan" & "Domain of Evil." 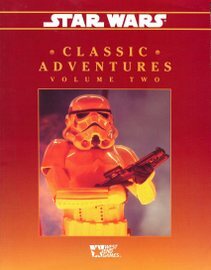 Contains: "Tatooine Manhunt" & "Riders of the Maelstrom" & "Death in the Undercity." 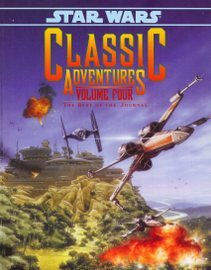 "Help defeat the Empire in the best scenarios reprinted from The Official Star Wars Adventure Journal. 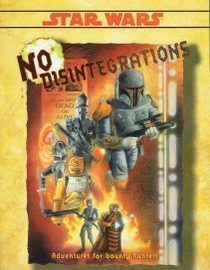 Hunt for a powerful Jedi relic, evade bounty hunters in a repulsorlift demolition derby, go under cover in an Imperial recruit training camp, and command New Republic armored forces in a desperate attempt to stop an Imperial onslaught. Travel to the resort world of Kaal to gamble your lives with Imperial warlords and crime kings in an adventure co-designed by New York Times bestselling author Timothy Zahn. This collection also includes three sourcefiles — "The Pentastar Alignment," "Swoop Gangs" and "The Gree Enclave" which provide exciting campaign settings and scenario ideas for your game. From the tyranny of the Pentastar Alignment and the rugged streets of the swoop gangs to Gree's mysterious and ancient cities, you'll find adventure and excitement around every corner." Contains: "Strikeforce: Shantipole" & "Starfall" & "Game Chambers of Questal." West End Games made some nice departures in style for the DarkStryder campaign. * The players are encouraged to use the characters included with the set, indeed each player will have a stable of characters to run, depending on the needs of the story. * The atmosphere is darker than the usual Star Wars setting. A short story by Timothy Zahn starts off the campaign, and helps set that tone. * The PC's ship, the FarStar, is a CR90 corvette with a colorful past, and a busy future. It's a run-down ship; malfunctions, repair, and constant maintenance will figure into the story. The crew is a dour, cranky lot. * All this is in service of running down imperial warlord Moff Sarne, the ultimate goal of the campaign. 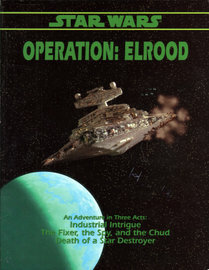 A stand-alone campaign set in the early New Republic in the remote Kathol Sector. * a full color-map of the modified Corellian Corvette FarStar. 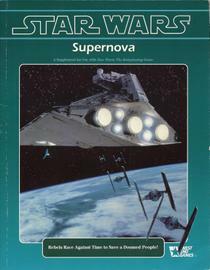 By Peter Schweighofer & Doug Shuler & Bill Smith & Eric Trautmann & Timothy Zahn. Additional Material by Paul Sudlow. 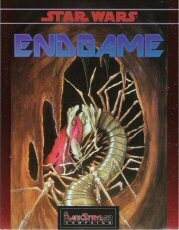 "The epic adventure that began in the DarkStryder Campaign Boxed Set continues! The New Republic vessel FarStar has pursued the renegade Imperial Moff Sarne into the uncharted reaches of the Kathol Outback. Join the intrepid FarStar crew as they track Sarne's forces through this isolated and dangerous region of space. 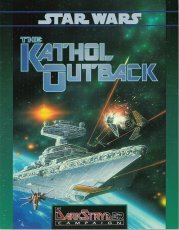 This book features five adventures that continue the DarkStryder saga as well as extensive source material on the Kathol Outback, allowing gamemasters to expand the scope of the DarkStryder Campaign!" "The crew of the FarStar returns in the second supplement for the DarkStryder Campaign! The New Republic vessel FarStar has relentlessly pursued rogue Imperial Moff Sarne through the uncharted reaches of the Kathol Outback and has arrived at the mysterious Kathol Rift, an ancient region of space with a dark, terrible history. The Rift — a monstrous cloud of charged particles, radioactive storms and energy discharges — is a navigator's nightmare. Stories abound about the effect the Rift has on sane beings, stories of madness, despair and terror. Superstitious spacers avoid this segment of space as if it were cursed, telling of terrifying hallucinations, random navigational anomalies and other inexplicable phenomena. But somewhere inside this "seething cauldron of galactic power" lie the clues that will ultimately lead the New Republic crew to its final showdown with Sarne and his mysterious benefactor ... DarkStryder. 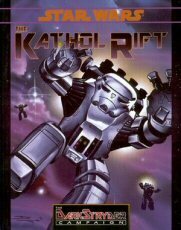 The Kathol Rift features source material on this fearsome region of space, tips on integrating new sub-plots into the multi-character DarkStryder Campaign, and six new adventures that lead the New Republic crew closer to their final battle with the forces of the Empire." "The DarkStryder Campaign concludes! The New Republic ship FarStar has arrived at Moff Sarne's hidden lair, a distant planet once ruled by a long-dead species of scientists that were obliterated in a mysterious catastrophe thousands of years ago. The New Republic has finally caught up with Sarne, and is moving to end his reign of terror once and for all. Or are they? As Sarne launches his final offensive, the crew of the FarStar must struggle with the forces of the Empire, a hostile planet filled with bizarre and dangerous species, and the might of a despotic alien monster ... ... a monster called DarkStryder. This 128-page adventure supplement contains a full-length adventure that concludes the epic DarkStryder Campaign, as well as complete source material on DarkStryder's home planet, the history and origin of the Kathol Rift, and the source of Sarne's mysterious "DarkStryder" technology." Basically, a regular Darkstryder box set, plus the 3 adventure books. The last item West End Games released for their D6 Star Wars line.